Last week, I started grad school at Vermont College of Fine Arts to pursue an MFA in writing for children and young adults. I first learned about the low-residency program a few years ago after reading the book jacket of Jandy Nelson’s incredible young adult novel, I’ll Give You the Sun. Since I devoured her book — in fact, I love it so much I’m rereading it now — I went on the VCFA website to learn about the program. 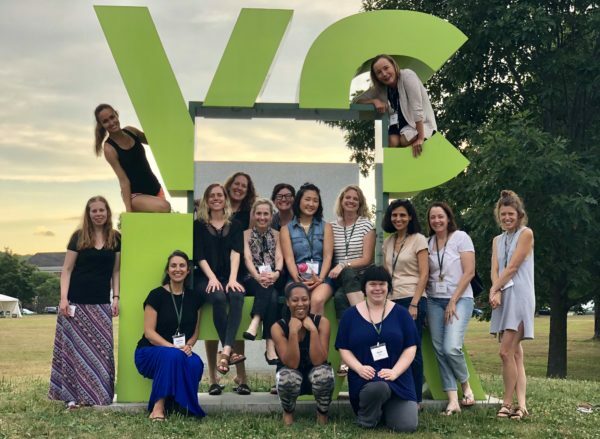 I subsequently attended VCFA’s annual Writing Novels for Young People retreat three times and simply loved the experience and the wonderful community fostered there. Although I had a million and one reasons to avoid going back to school — how could I leave my home and family for 10+ days twice a year, and how would I fit in the 25+ hours of study (which for me will be many more since I’m not a fast reader or writer)? And what about my 22-year nutrition career? Even if I were to be accepted, would I be worthy to study among so many talented students? Would I have earned the right to learn from such an esteemed faculty? Sign up for Elisa’s blog posts! Bedside Manners: Q & A with Heather Frimmer, M.D.